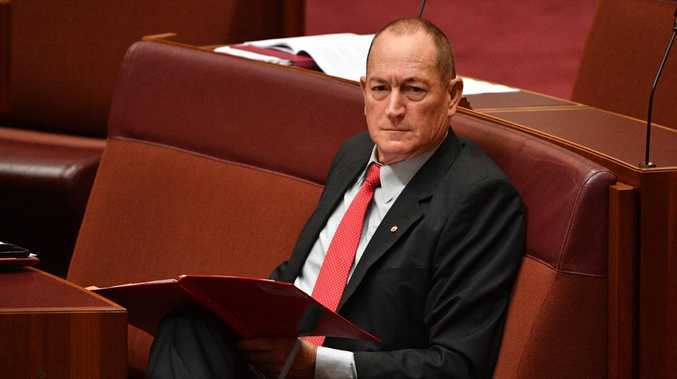 Fraser Anning sparked an uproar after invoking the term “Final Solution” in his maiden speech to the Senate yesterday. AUSTRALIAN senator Fraser Anning sparked a massive backlash after invoking the term "Final Solution" in his maiden speech to the Senate yesterday. Senator Anning, a member of Katter's Australian Party, called for a "plebiscite to allow the Australian people to decide whether they want wholesale non-English speaking immigrants from the Third World, and particularly whether they want any Muslims". 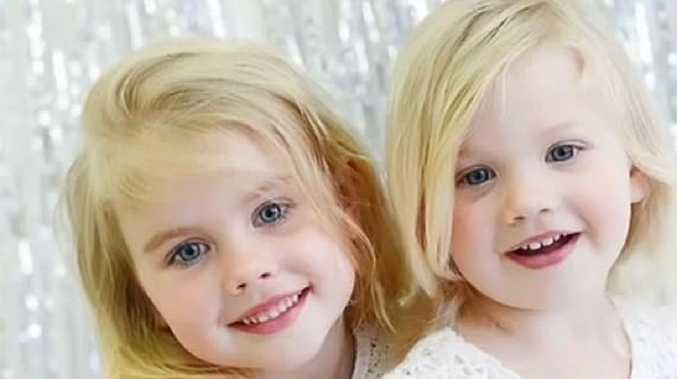 But it was the phrase "Final Solution" that sparked massive outrage - a term referring to the official code name for the genocide of Jews during World War II. Senator Anning's use of the term wasn't just controversial, nor was it a mere case of poor wording. It invoked one of the world's darkest and most profoundly disturbing eras in modern history - within the same context of race and immigration. As noted by the United States Holocaust Memorial Museum, the Nazis frequently used coded language to disguise the true nature of their crimes. The "Final Solution" was a euphemism for the organised mass destruction of the Jewish race and it encompassed massive killing operations aimed at entire Jewish communities. 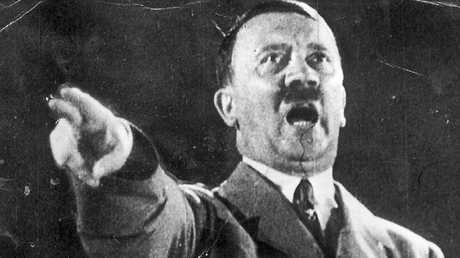 The “Final Solution” referred to the mass murder of millions of Jews under Hitler's regime. In 1941, Nazi leader Hermann Goering ordered high-ranking officer Reinhard Heydrich to prepare a plan for the "final solution to the Jewish question". According to extracts of his order, he said: "In completion of the task which was entrusted to you on January 24, 1939, of solving the Jewish question … in the most convenient way possible … I charge you with making all necessary preparations … for an overall solution of the Jewish question. I further charge you with submitting to me promptly an overall plan … for the execution of the intended final solution of the Jewish question." From that point on, the "Final Solution" became the code name for the murder of all Jews in Europe. The entrance of the notorious Auschwitz II-Birkenau, a former Nazi extermination camp and now a museum located in Oswiecim, Poland. The Nazi Party and police units introduced mobile gas vans - panelled trucks with exhaust pipes that would pump poisonous carbon monoxide gas into sealed spaces, killing those locked within. This later evolved into large-scale concentration camps, which were set up for the sole purpose of murdering millions of Jews through asphyxiation with poison gas and shooting. Many also died of starvation, forced labour and medical experiments. 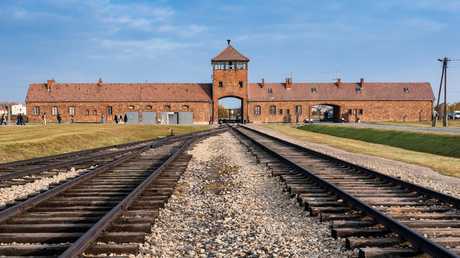 All in all, six million Jewish men, women and children were killed during the Holocaust, as well as members of the LGBTI community, migrants and gypsies. 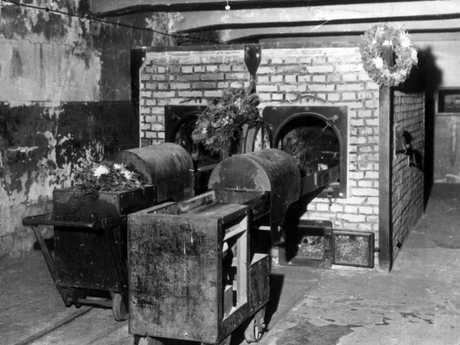 Millions of Jews were gassed to death in concentration camp chambers. Senator Anning has denied the link between his use of the term and its historical context, saying he "didn't even think" about whether it would be offensive. "All I said was the final solution to the immigration problem is a vote of the Australian people," he told host Georgie Gardner on the Today show this morning. "That has nothing to do with the 'Final Solution', the thought police got on to that. "For everyone to take it out of context is a joke and (to) try and shutdown debate. "Good men died for our right to say whatever we want to say and use whatever words we want to use," Senator Anning went on. "If people want to take it out of context that's entirely up to them. It was never meant to denigrate the Jewish community and it's two words and if that offends anyone, unfortunately that's the way it has to be. "I don't regret anything, Georgie. I'm not going to apologise or regret anything I say."